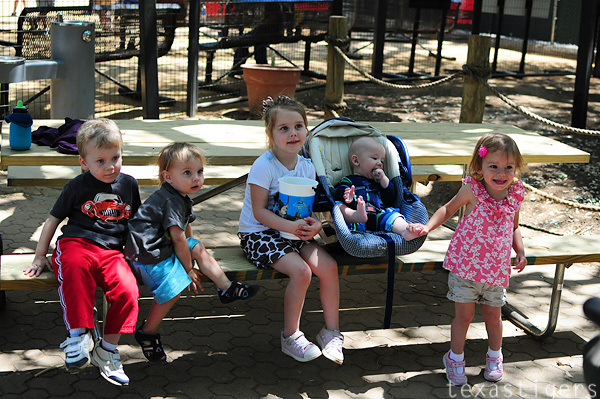 Texas Tigers: My itty bitty is TWO! Today my little itty bitty turned two. I don't know why but this was much harder than him turning 1 was for me - well I guess I do. He's not a baby anymore. He's still little but 2 is much more toddler than baby and now it's official. Since his party isn't until Saturday I wanted to do something fun for him on his actual birthday. It just so happens that it's a Thursday so we headed to the zoo with friends. 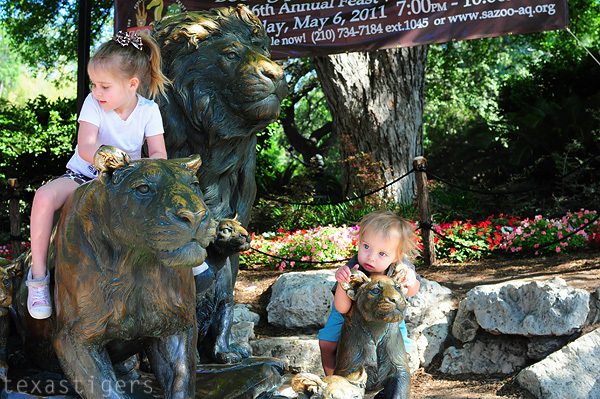 The kids love to climb all over the lion statues at the entrance. It wasn't crowded today so I let them have a few minutes to sit on them. 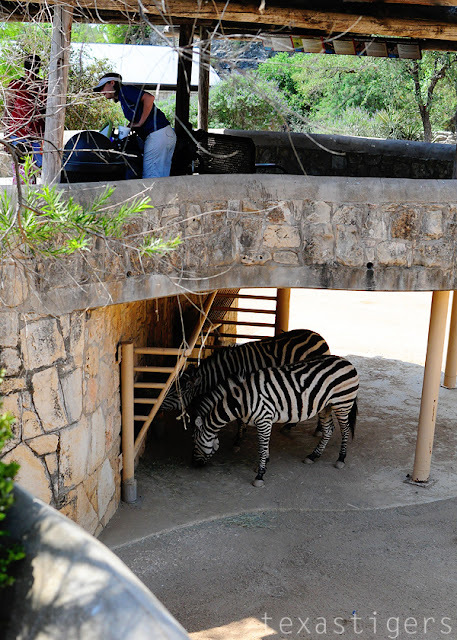 When we got to the zebra exhibit we didn't see them at first. Then it was discovered they were hiding under this overlook so we headed around the corner to see them. Abby had been upset that they weren't out so she was thrilled that we found them.